What the heck is "Digital Asset Management" and why do we bring this up in the context of our Creative Services BLOG? Well the answer is simple: we create lots of wonderful things for our clients and we need to store them, share them and sometimes present them as part of our portfolio for new clients. I am truly amazed how much the world of Digital Asset Management (DAM) has evolved in the last decade. And when I find myself speaking in terms of "decades" I am equally shocked at how time flies!  But I digress.....below is a brief history of how Digital Asset Management has evolved for Left Coast Marketing. Back in 2008, we embarked to develop a platform to host the digital media that we were producing for various clients and in particular wineries. We recognized a challenge in storing the large photography and video assets that our clients had commissioned us to produce as part of their brand marketing investment. We also recognized that our clients had other assets that needed to be stored and shared with their sales team spread across the country. It was then that the "Wine Media Kit" was born...a Digital Asset Management platform that allowed our clients to host media assets that we produced as well as other creative assets (i.e. design files) that we may or may not have produced for them. We were successful at identifying and addressing the needs of our clients in this area but were not as successful in selecting the right software development partner so we had to scrap the "buggy" system within a year as it became too costly to support. Fast forward 4 years toward the end of 2012 when we decided to take another crack at it, this time selecting an existing platform (Microsoft Sharepoint) which we could simply configure for our specific needs vs. custom software that was cost prohibitive to build and maintain. This new platform which was now called the "Artisan Cloud" worked great and we were able to host all forms of sales POS and other digital marketing collateral, including the various types of creative assets that we build for our clients: business cards, rack cards, sell sheets, tech sheets, shelf talkers, bottle neckers, case cards, wine club newsletters, etc. We were charging a nominal monthly hosting fee and guess what?! Our clients started paying for us to host their digital assets. Win-Win, right? What we found after the first few months of was quite surprising...internally our team began using a still relatively unknown platform called DropBox as part of our design workflow before uploading to the Artisan Cloud. Once uploaded our clients would login and download the assets...to their personal or company DropBox folder. Yes indeed, after polling a few of our customers we found that we were all using DropBox and after some serious contemplation we decided to shut down the Artisan Cloud which was still costly to maintain and formally adopt DropBox for asset management system. It was painful to lose a part of our business revenue stream but it was absolutely the right decision to make for our clients. Being a company with a culture for continuous improvement we strayed away from DropBox once or twice only to come back to it as the seamless solution that now integrates with our various other technology platforms including Insightly CRM & Project Management that is core to our creative services work flow. Our clients decide what they need and want and we do our best to deliver services and products to support that following the path of least resistance whenever possible. It all goes back to our Core Values, and particularly (1) Customer Service is our #1 service and (2) Project Management is in our DNA. As part of our company culture we will always look to improve our people, processes & technology but when it ain't broke, why fix it? When we started we wanted to be a technology company that also provided creative services for our clients. Now we are a Creative Services Agency that simply leverages the best of breed technology in order to provide top notch customer service. Funny how life can flip everything upside down, especially for an old guy like me. Business is all about timing. Get going with your own Holiday Catalogs, Customized Magazines, and Maga-Logs before it's too late. September marks the beginning of the season. We jump from Summer to Winter in one breath. If you aren't looking forward, then you are already behind. Let us help you be at the head of the curve this season. We have a solid team of designers, marketers, copywriters, and creative thinkers that are ready to tackle your holiday project. Small business owners need every extra moment of time, especially during this season. Allow us to be your extra hands on board! A PHOTO IS WORTH 1,000 WORDS. Let us capture your new photos for a fresh look this season. We offer a complete set-up of your merchandise in real settings. Find inspiration by flipping through Lambert Bridge and Roblar's 2014 Holiday Catalogs, below. Inspired and curious? It never hurts to ask. Fetch yourself a custom quote for your print idea today. We are doing a Holiday Road Show! Well, we may not be SO Tommy Boy style, but it will be a good time! Keep your ears perked, you may hear us from miles away! Our sales team is out to discuss our services to support you in the holiday season.